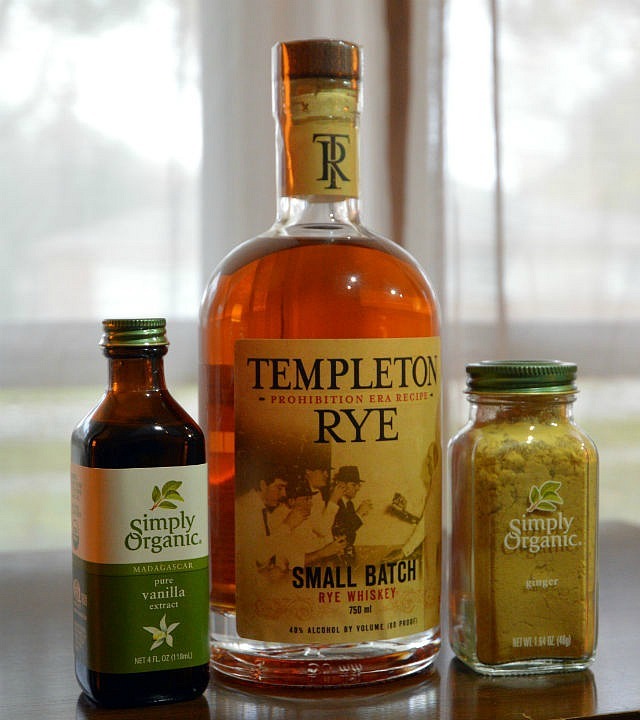 I was asked a while ago if I might be interested in creating a chocolate truffle recipe using Templeton Rye Whiskey and two mystery Frontier spices. While I was a little apprehensive about the mystery ingredients, I was still game to give it a try as everything goes with chocolate! My mystery ingredients weren’t too crazy: ginger and vanilla. This is actually a great combination as vanilla will add sweetness and ginger will add spice. 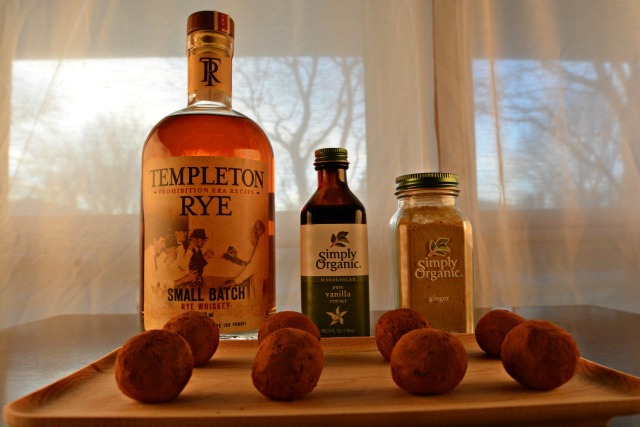 Plus that ginger is great for fighting off winter germs add in Templeton Rye Whiskey and these #BoozyTruffles are great for the sick person in your life. If you’re willing to share all that goodness…of course they’re also preventative so you should probably just eat all of them by yourself. I’m all for one pot recipes, especially when it comes to making candy. I try to keep it simple. 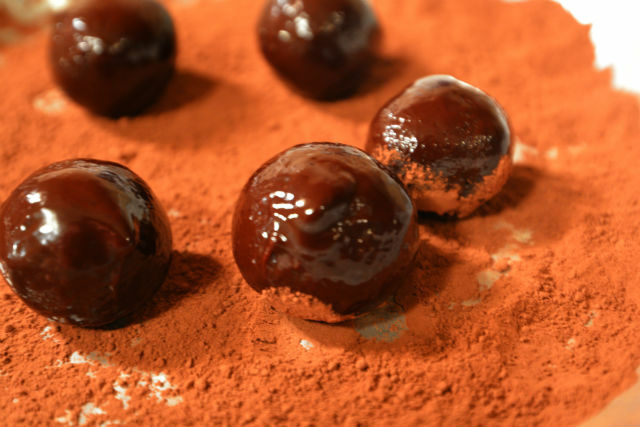 For this recipe, you’ll make a caramel then dump in all your truffle ingredients, melt them together and chill. Sometimes a truffle is dipped in molten chocolate but I wanted an easier finish by rolling them in cocoa powder and espresso. The freshly ground espresso is for flavor so if you’re not a coffee lover then you can opt out and go for a pure chocolate finish. Place the sugar in a medium saucepan and heat over medium high heat. Stir until sugar starts to melt and then swirl pan until sugar turns a dark caramel color. Remove from heat and stir in heavy cream. Return pan to heat and stir until caramel dissolves. Remove pan from heat and add rest of ingredients. Stir until chocolate melts. Move to heat safe bowl and cool to room temperature. Move to fridge and chill until chocolate is firm or about 2 hours. 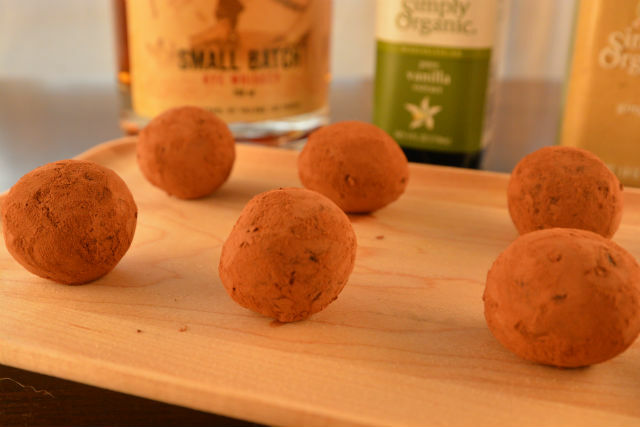 Remove from fridge, using a small spoon or tablespoon cookie scoop, scoop chocolate into balls and roll with hands. Roll in cocoa/espresso mixture and chill until ready to serve.